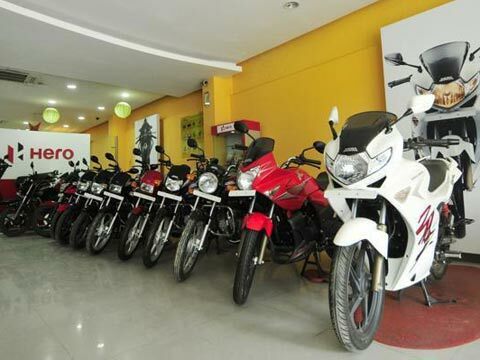 Leading auto manufacturer, Hero Moto Corp is all set to establish its manufacturing plants in Brazil and Argentina, says a PTI report. In a bid to expand its reach, the company is coming up with a plant in Colombia. Apart from that it is aggressively eyeing to expand its base in Central and South America. Commenting on the expansion plans, Hero MotoCorp Managing Director & Chief Executive Officer, Pawan Munjal, said: "We believe the factory in Colombia will be a good hub for supply to other markets for us in Central and Latin America." "We will get into manufacturing in Brazil. Argentina also requires us to manufacture locally, which is also on the cards. We would like to enter the Brazilian market along with the Rio Olympics in 2016," he added. Offlate, the company has launched six motorcycles here as part of its target of 1.2 million unit sales from global business by 2020. Besides, Munjal said the company is looking to establish manufacturing and assembly units in 50 countries worldwide as part of its global expansion plans.